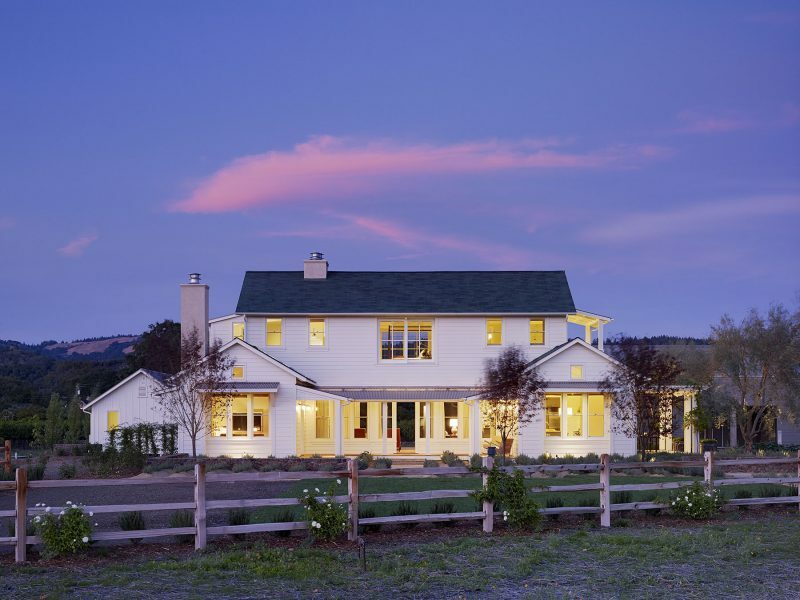 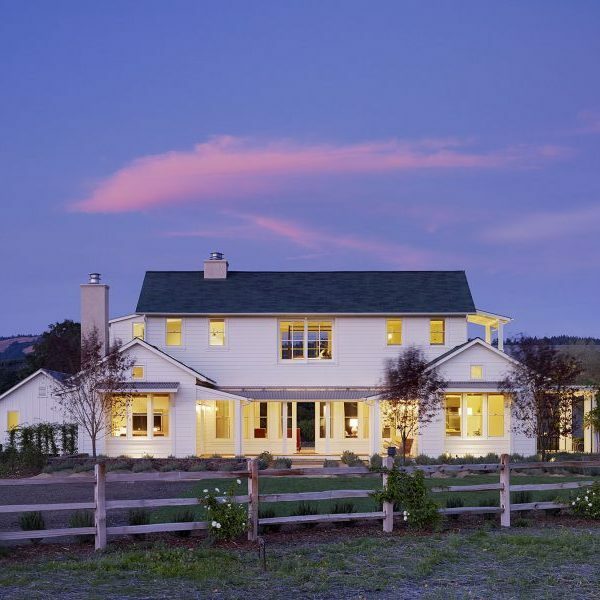 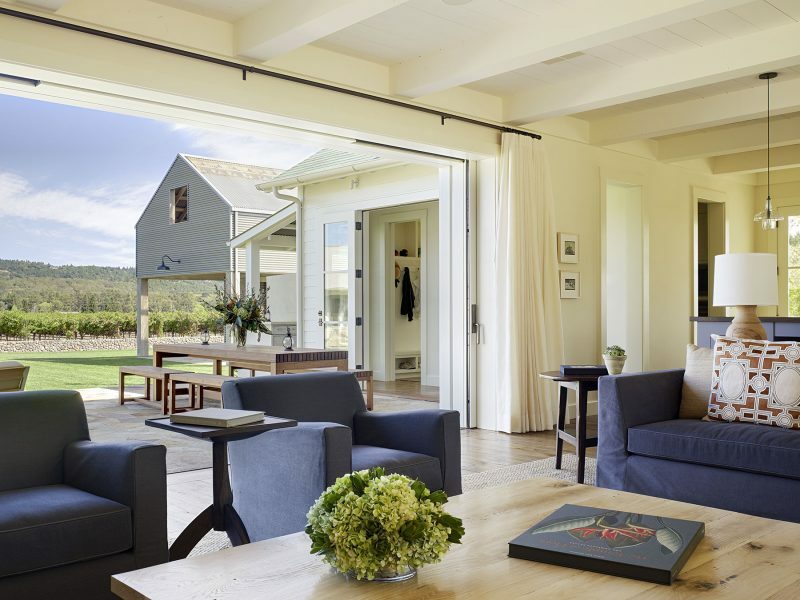 This farmhouse-in-the-vineyard’s design is drawn from traditional farmhouse styling with its two-story design, lap-siding, and beckoning covered porches. 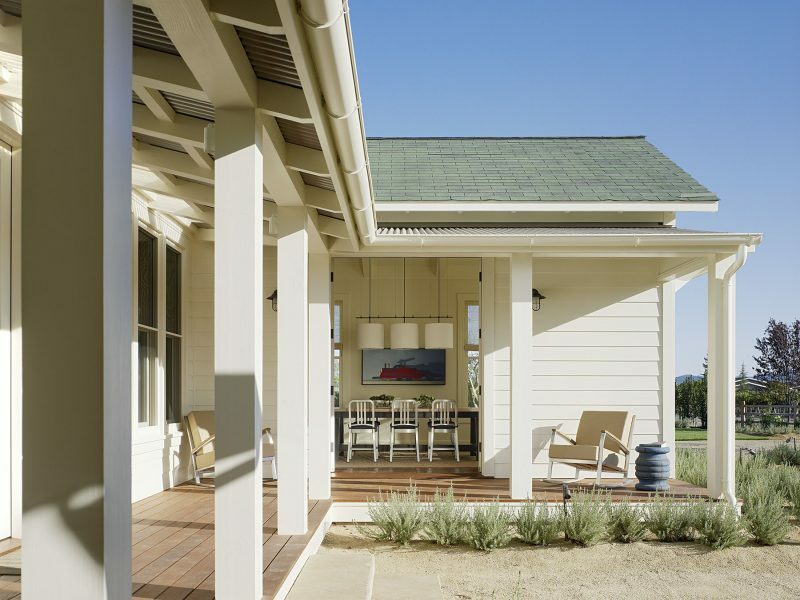 The aged-looking composition shingles were a challenge to find, but they are just what the client wanted to help create the impression of a long-established dwelling. 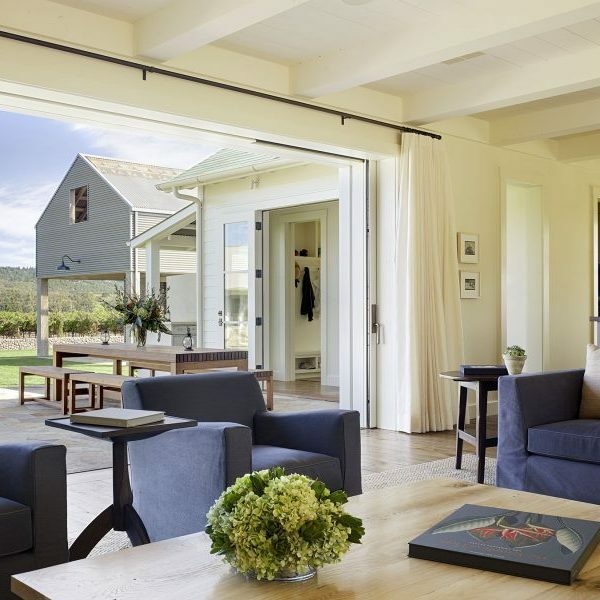 A large lift-n-slide door opens from the living area to the expansive concrete patio in the rear. 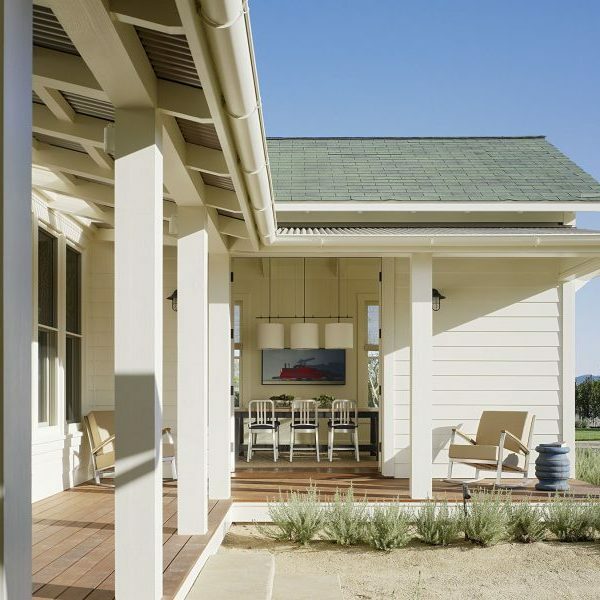 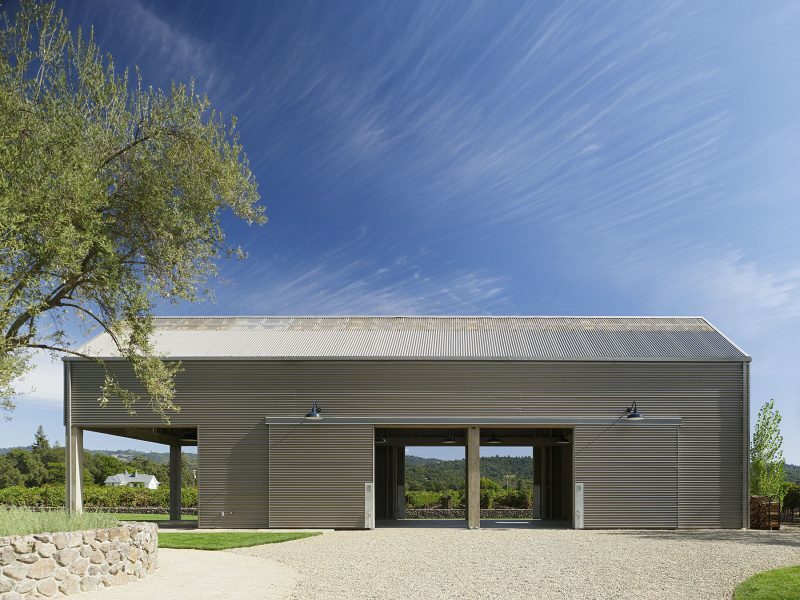 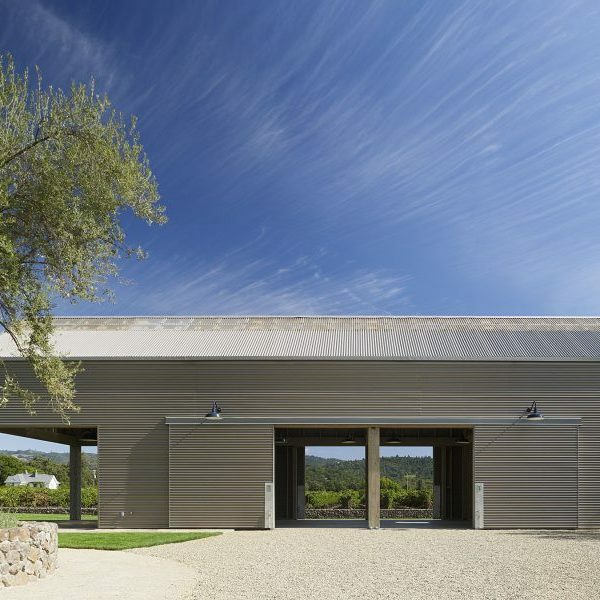 This project also included a retro metal barn-style garage with large wooden beams and a screened guest pavilion.